I bought a T shirt the other day. It has a cosily nostalgic image on the front of what looks like a weathered ’57 Chevy driving toward the viewer along a dead straight Californian highway. The inevitable caption reads ‘Every Summer Has Its Own Story’. Being summer, and Sandytown in the middle of Ramadan is inhospitable beyond endurance to the infidel, some friends came to stay en passant for a few days, adding their own twists and turns to the otherwise linear nature of our existence. It’s become common for expat travellers to stop by here on their way to somewhere else and we were pleased to welcome them. It’s instructive and indeed inevitable however to make comparisons about the way we were and the way we are now. 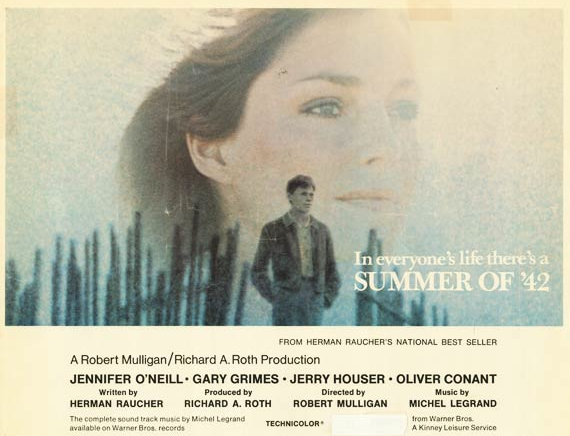 The iconic 1971 film “Summer of ‘42” about sexual awakening, tragedy and loss had a line which has always stayed with me. ‘Life is full of small comings and goings. What is important is how well you arrive at your destination’. We all seek to make the journey joyful, valuable and meaningful. A different context brings a different social and emotional perspective – which we tend to mostly shrug off. I found myself wondering how those I knew well years ago might now find me, and I them. With that in mind, as I thought about our guests and ourselves, it seemed as if subtle changes had taken place in all of us. Superficially, all was as it had always been. One of us, through sheer, choleric discipline, had lost almost half their body weight and was running almost 5km a day, which made them edgier, sharper and if possible, more determined. Another’s lifestyle change meant that they were no longer subject to the tyranny of timetables and rules, instead has found other, different avenues of interest, which, of course, was me. At first, I thought that this might simply be a function of getting older, but it wasn’t. I saw it more in terms of heightened observation – an increased ability to perceive the details, as if on a country walk, a particular rock formation, passed a thousand times, is noticed almost for the first time, hence takes on a new meaning. I too was traveling; at this particular moment, not in a geographical sense, more as if a different conveyance was taking me where I needed to go; one which had a more panoramic view of the landscape. I read somewhere recently about a church which closed for the whole of July, just because it seemed a good idea. When I feel like it – however one might choose to read between the lines – I go into Paris and attend ACP. Mostly, I’m quite glad I did, but it’s not a compulsion, a necessity, socially or spiritually, for me to drag myself out of bed on a Sunday morning, clamber in the car and head for the station. Perhaps for certain personality types, the thought of not attending is as appalling as my own apparent lack of motivation, but, that’s OK.